Villa del Palmar Beach Resort & Spa provides the idyllic setting for your wedding in Puerto Vallarta. Imagine tying the knot on the pristine beach overlooking the sapphire waters of Banderas Bay as the sun sets on the horizon and your guests stand in awe of the exquisite surroundings. In addition to the serene ambiance, the optional all inclusive resort in Puerto Vallarta has an array of value-added destination wedding packages designed to suit all your wedding and honeymoon needs. At Villa del Palmar Beach Resort & Spa, we have an array of specialized wedding services to ensure every detail of your destination wedding is just as you hope it will be. Our team of certified wedding planners, florists, designers, photographers, videographers, banquet experts, musicians and bridal beauty experts work together in harmony to create the most spectacular Puerto Vallarta wedding you ever could have imagined. Apart from our dreamlike wedding services, Newlyweds will find the idyllic honeymoon destination for when the vows have been said and the celebration winds down. Our superior suites and exclusive amenities at Villa del Palmar Beach Resort & Spa provide honeymooners with everything they need to continue the feeling of bliss for as long as they’d like. To make your day perfect we also have a videographer, photographer, musicians and more! Your wedding coordinator can provide you with prices. Terms & Conditions: The Complimentary wedding ceremony is valid for all-inclusive and European plan bookings. You must book a minimum of 10 rooms for a minimum 3 night stay. Wedding date based on availability. **All ceremonies included in our wedding packages are symbolic, provided by a non-denominational minister and they are not legally binding. 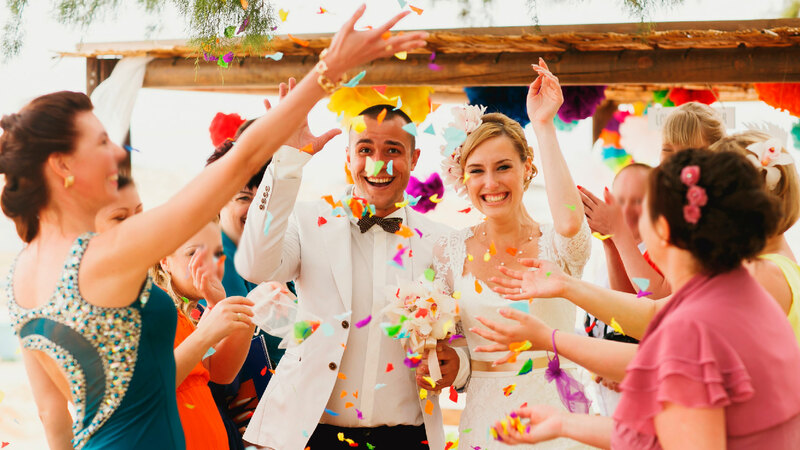 If you would like to get married legally in Mexico, please contact our wedding consultants, they will send you information about the requirements and additional fees. This package was created to rekindle passion and celebrate the promises of love.This package was created to rekindle passion and celebrate the promises of love.